DESDE is empowering a network of marginalized artisans and creating a movement to give them market access and the tools to navigate it --to honor their dignity, to ensure their chance for economic mobility and that of their community, and to preserve and share their artistic traditions with the world. DESDE empowers marginalized Latin American artisans by giving them direct market access and the tools to navigate it. We aim to be both an ethical fashion brand and an online convener for marginalized Latin American artisans as part of a model and network to make sustainable direct market access possible for them. We co-create ethical, fashionable accessories with artisans, connect them to conscious customers, ensure they earn higher revenues, keep their timeless craftsmanship alive, and allow them to share their traditions with the world. We also invest in customized training for them and in projects that will aide dire needs in their communities. The majority of the communities we work with live at or below $1 per day, and have amazing craftsmanship to share with the world but lack market access. Our name, DESDE, means “from” in Spanish and is a simple and powerful reminder of our values in explaining where the product is “from”: What country? What culture? What region? What history? What technique? What hands made it? Preserving and sharing artistic traditions while promoting economic mobility. We are a hybrid model where sales and donations support our social mission, artisan capacitation and community funds. DESDE’s hybrid structure is also an important part of how we can serve more artisans as we build the model. DESDE seeks to be a non-profit because it must support and help level the playing field for artisans who come to the global fashion marketplace with deficits that derive solely from their poverty. We want to give artisans the tools to grow and control how they can share their goods with others. We also believe in addressing the needs of the communities in which we work, proving the strength of their artistic traditions can not only change an artisan’s family’s circumstances, but have an impact on the entire community. DESDE seeks to be a for-profit because we recognize that the most successful companies succeed when they compete in—rather than being insulated from—market forces. DESDE’s hybrid model lends capacity-building to impoverished communities, while creating a powerful financial engine to fuel social change. Maria’s professional experiences have been rooted in seeking systemic change for social issues. As a Program Director at the El Pomar Foundation, Maria coordinated various regional programs and recommended grant funding for nonprofits in the foundation’s High Country while participating in the foundation’s Fellowship program in nonprofit management. Maria later served as a Colorado Deputy Finance Director for U.S. Senator Michael Bennet on what at the time was the most successful fundraising campaign in Colorado history. Maria led fundraising efforts for statewide constituencies including, women and Latinos, and created regional fundraising strategies in rural and suburban areas across the state. In 2012 Maria joined the The Knowledge is Power Program (KIPP) Colorado Schools team serving as the Director of Development. Inspired by her family’s humble roots and her experiences as a Panamanian immigrant to the U.S., in 2014 Maria founded DESDE, a social enterprise which empowers marginalized Latin American artisans by providing them market access and the tools to navigate it. She is impelled in her work by a belief in creativity as a force that can foster dignity and the power of social businesses as sustainable catalysts to address the world’s most difficult social issues. Maria is an alumna of the International DO School Fellowship, which has supported her work with DESDE. She was selected as a FRED Leadership Forum NextGen Leader and as part of The Colorado College’s Faces of Innovation. She holds a B.A. in Political Science and History from The Colorado College. 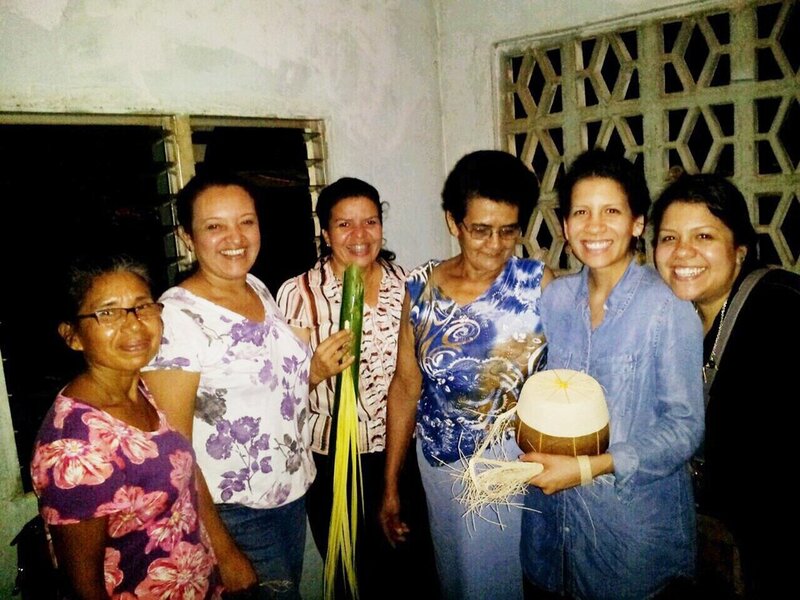 DESDE artisan and volunteers in San José de Ocú, Panama. Learn more about DESDE's model and what it seeks to do. A quick summary on DESDE and its goals with founder Maria.